Edward McKendree Bounds (August 15, 1835(1835-08-15) – August 24, 1913) was a clergyman of the Methodist Episcopal Church South and author of eleven books, nine of which focused on the subject of prayer. E.M. Bounds did not support slavery. But, because he was a pastor at a congregation in the recently formed Methodist Episcopal Church South, his name was included in a list of 250 names who were to take an oath of allegiance and post a $500 bond. Edward saw no reason for a U.S. Citizen to take such an oath, he was morally opposed to the Union raising funds in this way, and he didn't have the $500. Bounds and the others on the list were arrested in 1861 by Union troops, and Bounds was charged as a Confederate sympathizer. He was held with other non-combatants in a Federal prison in St. Louis for a year and a half. He was then transferred to Memphis and released in a prisoner exchanged between the Union and the Confederacy. He became a chaplain in the Confederate States Army (3rd Missouri Infantry CSA) During the First Battle of Franklin, Bounds suffered a severe forehead injury from a Union saber, and he was taken prisoner. On June 28, 1865, Bounds was among Confederate prisoners who were released upon the taking of an oath of loyalty to the United States. After serving several important churches in St. Louis and other places, south, he became Editor of the St. Louis Christian Advocate for eight years and, later, Associate Editor of The Nashville Christian Advocate for four years. The trial of his faith came to him while in Nashville, and he quietly retired to his home without asking even a pension. His principal work in Washington, Georgia (his home) was rising at 4 am and praying until 7 am. He filled a few engagements as an evangelist during the eighteen years of his lifework. While on speaking engagements, he would not neglect his early morning time in prayer, and cared nothing for the protests of the other occupants of his room at being awakened so early. No man could have made more melting appeals for lost souls and backslidden ministers than did Bounds. Tears ran down his face as he pleaded for us all in that room. 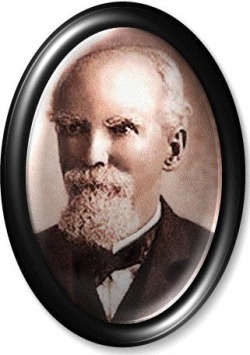 E.M. Bounds died on August 24, 1913 in Washington, Georgia. The funeral was held on the following day. Only two of Bounds' books were published before he died. After his death, Rev. Claudius (Claude) Lysias Chilton, Jr., grandson of William Parish Chilton and admirer of Bounds, worked on preserving and preparing Bounds' collection of manuscripts for publication. By 1921 more editorial work was being done by Rev. Homer W. Hodge. The Complete Works of E.M. Bounds on Prayer, Baker Books, 1990, Biographical Introduction, page 9. Jennings, Charles A. "Confederate Chaplain E.M. Bounds, Exceptional Man of Prayer"
3rd Missouri Infantry CSA Unit Roster. 3rd Missouri Infantry CSA Unit Roster. Hodge, Homer W., Heave, a Place, A City, A Home, pages 5-6 Hodge, Homer W., Heaven, A Place, A City, A Home, pages 5-6. The Complete Works of E.M. Bounds on Prayer, Baker Books, 1990, Biographical Introduction, pages 9-10. Jennings, Charles A., "Confederate Chaplain E.M. Bounds, Exceptional Man of Prayer"
Bounds, E.M., "The Necessity of Prayer", quote is in the forward by Claude Chilton.